In Ontario there is a pressing need for legal services that can be accessed by low-income and disadvantaged persons. Many lawyers are stepping up and trying to address this gap through free services, discounted fees, or providing legal education to members of the public. Whenever legal services are being provided to the public, however, it is important that you consider and know the risks you’re facing: no matter how well-intentioned parties are, things can always go wrong. Knowing how your primary professional liability insurance is expected to respond should give you direction and peace of mind when giving back to your community. The availability and terms of professional indemnity coverage for pro bono services vary depending on whether a lawyer is insured by LawPRO or not (i.e., whether he or she is in private practice or is exempt), on the context in which those services are provided (through Pro Bono Ontario or not), and finally, on the nature of those services (whether or not they fall within the LawPRO definition of professional services). This article was prepared to help you understand your coverage status so that you can make informed choices about risk management when offering pro bono services. The mandatory program of professional indemnity insurance coverage from LawPRO applies to the delivery of professional services to clients regardless of how much those clients pay for the services. This means that if you are a lawyer in private practice currently insured by LawPRO, you are free to offer pro bono services to clients, and as long as you are within the terms of your coverage and comply with the policy conditions, you can expect to be covered for errors and omissions up to the limits of your coverage. Insured lawyers are free to serve pro bono clients in any context they wish. 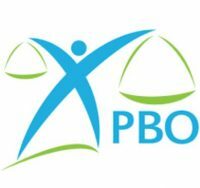 However, in the interest of supporting pro bono work, LawPRO has included certain special terms in its policy that apply to the delivery of pro bono services through Pro Bono Ontario (PBO – formerly Pro Bono Law Ontario) programs that have been approved by LawPRO. In the event of a claim flowing from services delivered under a LawPRO-approved PBO program, LawPRO waives the deductible that would otherwise be applied according to the terms of the lawyer’s policy. Claims experience based on services delivered under such a program will not trigger a claims history levy surcharge. Where the lawyer is eligible for the part-time practice discount, professional legal services offered pro bono under such a program will not count toward the lawyer’s annual practice hours (i.e.,pro bono services will not put a lawyer “over” the part-timepractice cut-off). For a list of the LawPRO-approved programs, please see lawpro.ca/PBOlist. LawPRO recognizes that not all worthwhile opportunities to offer free or discounted services arise under programs that have obtained PBO support; however, it is beyond the reach of our program to individually risk-rate proposals to work pro bono. For that reason, lawyers who offer pro bono services outside the PBO umbrella of programs are subject to the standard terms of the policy. That means that in the event of a claim your insurance will respond in exactly the same way for a pro bono matter as for a full-fee paying client. For practising lawyers, this means that the deductible and claims history levy surcharge would still be expected to apply. These same standard policy terms apply when you provide professional services through a clinic within the meaning of the Legal Services Act, 1998, a student legal aid society, or an Aboriginal legal services corporation funded by Legal Aid Ontario. In these contexts, however, you may have the benefit of additional coverage under a policy maintained by the organization – ask your supervisor for details of that coverage. Want to take advantage of LawPRO’s special pro bono policy terms for insured lawyers? Consider helping obtain PBO status for the program in which you are working. Under the Law Society program lawyers can choose to restrict their practise areas and enjoy certain premium discounts. Lawyers who don’t practise real estate law don’t have to pay the Real Estate Practice Coverage Option (REPCO) premium surcharge or the Real Estate Transaction Levies, for example. Lawyers in firms which restrict their practise to only criminal and/or immigration law can qualify for a premium discount equal to 50 per cent of the base premium under the Restricted Area of Practice (RAOP) option. Lawyers on the RAOP discount may want to help people in their communities, but have concerns that the work done may fall outside the technical definition of “criminal” or “immigration” law and that they will lose their premium discount. This is a serious issue for consideration before you embark on pro bono work that will cause you to lose a beneficial premium status under the LawPRO insurance program. LawPRO receives questions about this, and it often has to do with representing people before administrative tribunals, such as licensing boards and for disciplinary hearings. Depending on the sanctions that may be imposed against the client, this may still qualify as “quasi-criminal.” In these circumstances, we ask that you contact us about your plans. If LawPRO confirms you can act, you can represent your client outside of a traditional criminal-law setting and still maintain your RAOP discount. Exempt, and want to work pro bono? As a lawyer exempt from the payment of LawPRO premiums, you are likely aware that you do not have coverage for the delivery of professional services. While you may provide these services to an employer (including the government), or use your legal skills in a non-practising context (like education), you cannot carry on the private practice of law. Increasingly, however, exempt lawyers are looking for ways to serve their communities by supporting access to justice. LawPRO supports those efforts by offering limited coverage for exempts who do pro bono work through LawPRO-approved PBO programs. Offering legal services through such a program will NOT jeopardize your exempt status. Because you are not required to pay a premium, you will not besubject to a claims history levy surcharge. You pay no deductible in the event of a claim. You will enjoy coverage under the LawPRO Run-off coverageprogram, up to the limits of that coverage (an all-time limit of$250,000, unless you apply and pay for increased coverage limits). Run-off coverage was designed to cover claims arising out of an exempt lawyer’s past private practice activities, and not services offered while exempt; however, pro bono services are the exception –services delivered after the lawyer has applied for and become eligible for exemption are covered. While this special coverage, available without payment of premiums, entails some risk for LawPRO, that risk is reduced by the safeguards available through the PBO system. By offering coverage within the framework of our agreement with PBO, LawPRO is able to balance support for access to justice with fairness to the insured lawyers who fund our program. No professional legal services can normally be provided by lawyers on exemption to the public without paying for practice coverage. So, in general, you can’t provide these types of services, even for free, unless you are either paying for practice coverage or providing them through an approved PBO program. There is an exception possible for pro bono services for certain non-profit organizations themselves (i.e., as opposed to any members, clients, etc. thereof). If you receive LawPRO’s approval beforehand, you can provide professional services to these non-profit organizations, but there will be no coverage under the Law Society insurance program in the event of a claim. This is a risk for lawyers (and clients) to consider. Whether or not you are exempt from paying LawPRO premiums, you should be aware that you might find yourself exposed to losses flowing from volunteer activities that fall outside the LawPRO policy. Remember, lawyers’ professional indemnity insurance covers you for the risks inherent in providing professional services as defined by the LawPRO policy. Volunteer assistance that is other than practising law is not covered; if you are concerned about the risk of being sued over the volunteer work you do, you should ask the organization through which you are volunteering about their insurance coverage and whether it protects you, or take other steps to minimize your risk. Examples of activities that fall outside the LawPRO policy include: providing financial or investment advice; depositing client money into your firm’s trust fund for reasons unconnected with your legal services; teaching (including teaching law); providing volunteer director services (distinct from legal services) on a corporate board; and speaking to the media on behalf of a client. One must remember that LawPRO is licensed to provide professional liability insurance, not education or media liability insurance. So, another type of activity to be considered is the provision of free legal information. For many people in Ontario, the legal system seems confusing and hostile to non-licensees. By educating members of the public on practical ways the law intersects in their lives (landlord and tenant issues, wills and estates, family law, small business, etc.) and by providing basic legal information, lawyers can help individuals equip themselves with enough knowledge to be confident in approaching licensees for help, or to act for themselves in a legal matter. But for the most part, legal seminars and education sessions don’t require lawyers to provide any professional services and therefore, are not typically covered by the LawPRO policy. There is usually no client, and the lawyer is providing only general information. However in rare circumstances, a member of the public may interpret the information provided as being individual legal services from the insured lawyer speaker. These situations are known as “phantom client” scenarios, and claims flowing from them may, depending on the facts, come within LawPRO coverage. While very rare, “phantom clients” can show up following a lawyer’s public speaking engagement. These are people who may believe they have entered into a solicitor-client relationship without the lawyer being aware it was happening. They can be audience members who ask specific questions about their own circumstances and the lawyer uses legal knowledge and skill to give an answer that goes beyond legal information and is really legal advice. In this type of phantom client scenario, if a claim develops there could, depending on the circumstances, be coverage under an insured lawyer’s program policy, with relevant terms regarding deductibles, claims history levy surcharges, and so forth potentially applying. If you have any questions about whether there may be any insurance implications arising from your pro bono activities or the way in which you want to give people better access to justice, please contact a LawPRO customer service representative at [email protected], by phone at 416-598-5988/1-800-410-1013 or visit our website at lawpro.ca. We can answer your questions and will help you to help others. Victoria Crewe-Nelson is Assistant Vice-President, Underwriting at LawPRO.